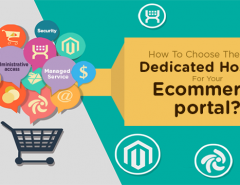 Your startup can be E-Commerce business or IT service provider, stability of your website and smooth customer experience decide the success and failure. It is important for you to think and plan how you would want to shape your operating and revenue model. That is because today IT infrastructure and data system (especially if managed in-house) are major contributors to CapEx to every business. The business scenario today is getting ever exciting as we see the way Internet has shaped the business models. New solutions are driving at enormous pace, leveraging innumerable ways online world offers to reach out to the target customers while ensuring mutual growth. Thus, for any startup, the bottleneck to come up with that great solution is the huge investment involved if it plans to cook the data in house. Datacenter is not a new answer to this old problem. The new problem is to pick which one suits your business! On the click of the button, startups have so many Datacenter services to pick from with a lot of customized bundled services. 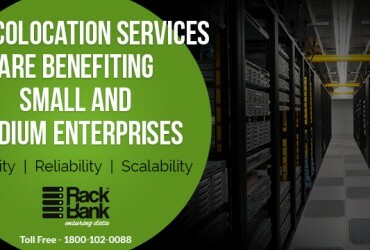 RackBank is a fast-growing and ambitious data center in India for startups and small businesses. Being a startup itself, RackBank has the right mindset, the experience and the challenges of startups as compared to other data centers. Be it the cost factors, the support issues or the challenges of providing a great customer experience, RackBank has seen it all. Today, it is a confident team of experienced startup partners who have been helping the younger startup generation. Reason 1: Low latency and affordable co-location! Typically, any startup idea starts with a problem to solve. Taking an example of successful data intensive startups like Ola cabs, Taxi for sure; they have solved the pressing problem of unorganized cab services and lot more. Of course, a large number of steps involved to solve the bigger problem is based on the strategy how the startup handles the data and how it utilizes it to bring smarter solutions to some of the pressing problems. From route optimization to decreasing the cab availability to your current location, these smart solutions at click of a button are just a start. We offer low latency for Indian clients because of the strategic location of our data center at the heart of India. Indore enjoys lower power costs compared to cities like Mumbai or Delhi yet is well connected to major cities across the countries. Your sales may be directly related to your latency. Fact to ponder: 100 miliseconds of latency costs Amazon 1% of its sales. Apart from providing the most reliable dedicated servers hosting in India, we have colocation services like no other. Apart from the increased power capacity and redundancy advantage, our colocation services help reduce your IT infrastructure and management costs. In addition, we provide you 24*7 local support. Lucrative as it seems, munching terabytes of data and delivering the value of it comes with a huge cost if a business manages the data and web service in-house. No wonder you may be munching 100 GBs of data for the first few months of inception of your operations and with 20-30% incremental of data requirements as you grow! We offer a sustainable low cost solution to all your data and server hosting services as the data center location leverage the low cost (upto 45% less compared to other regions of India ) of electricity supply in Indore. RackBank guarantees 50% reduction in your CapEx and OpEx. While other companies count your bandwidth, we provide free support services with the right strategy most beneficial for your business. We have dedicated servers, colocation services, managed dedicated servers and data center services within a startup-savvy cost. Reason 3 – Impeccable security for your data! Data security is an important aspect where growing companies may want to rule out the Opex while choosing an apt Data center. RackBank assures that you can stay at peace when it comes to your data security as it complies with ISO 27001 to ensure impeccable security round the clock. We also partner with government agencies (the govt. of India has itself invested in the Data Center park) for impregnable physical security layer. RackBank doesn’t just provide servers alone, it configures servers with management support. Reason 4 – Scalability that can be stretched as your business grows! With the advent of internet, the gap between product and service solutions has also been diminishing where there are no more clear boundaries between the two solutions. Convenience is the key. The way we are connecting multiple devices via internet is opening doors to endless possibilities how we leverage internet for our business. Imagine that by 2016, there will be 18 times more mobile data traffic as there was in 2011 and this doesn’t end here. By 2017, 5.2 billion people will be connected through mobile devices. This means that a majority of your potential clients will be streaming, sharing, downloading, sending, and receiving data. And you cannot tap this market without a dependable data center solution. 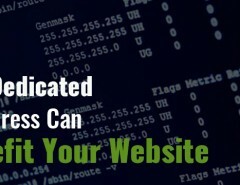 Your good old server hosting companies are not prepared yet. RackBank Data Center has the requisite infrastructure of 35,000 square feet in place with flawless support system and the expertise to power mobile applications and its data sharing. We are fully prepared for this Internet revolution. The founder of RackBank, Narendra sen is the official consultant to the Government of India for India’s first Data Center Park at Indore, MP. The inspiration of RackBank comes from a deep concern for India’s sensitive data and an undying faith in Digital India Campaign. The Government of India has garnered the development of Data Center Park here in Madhya Pradesh by helping weed out major hurdles of Political instability, policies of the state and Infrastructure. With a long term vision of catering to data growth of 300% in coming years, the government allows 100% FDI in the IT Infrastructure. This brings us a sheer confidence to commit to our promises! Rackbank aims to endure long lasting partnerships because we are here to stay in the market and grow along with our customers .We understand how much you love your data and we are here to cater the safeguard to one of the biggest asset of your dream work. Let us share your data centric loads in the most cost effective way so that you could sit back and focus on core elements of your business. We look forward to know more about you to understand how diverse are your requirements for data center and how we could evolve everyday with our customers. Click to know more- Why Should Companies Choose RackBank DataCenter ? 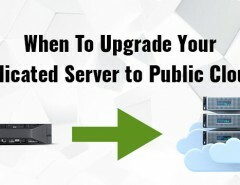 Previous Article How You Can Widen Your Customer Base with Magento Dedicated Server Hosting?